Not a fan of passwords? 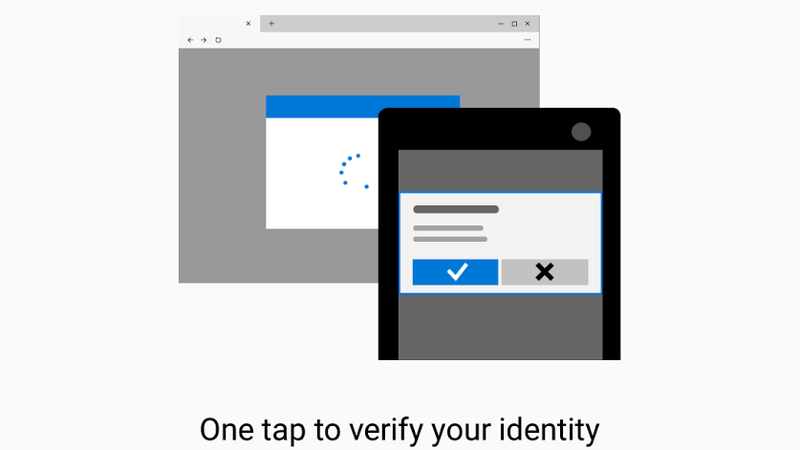 Microsoft yesterday announced a new feature for users of the Microsoft Authenticator app that allows the sign-in process on Microsoft accounts to be done using a phone instead. Users can link their phone with an account and receive an interactive notification after entering their username, allowing them to bypass the need to input a password. If you've used Authy to manage two-factor authentication, then it's basically the same as the process used by that app to link a new device. By linking a phone known to belong to you and (presumably) already securely protected, it can be verified that the person trying to log in is also probably the person using the phone. Basically, the 2nd part of the two-factor authentication becomes the only part of your login process. Frankly, it's probably more secure than a password. You can't be phished and your parents won't forget it or be tempted to write it down. Unless you lose your phone or your battery dies you're more secure. And, I would assume that the now old-hat security of a password can function in such situations as a backup. In an entirely hilarious turn of events this system does not yet work with Windows 10 Mobile/Windows Phone. In an update to their announcement they responded that the platform wasn't considered a priority.